The Los Angeles PESANTE NEWS learned today from media sources in the Philippines that Jorge Madlos, NDF Spokesperson for Mindanao said: " We give the highest salute to the New People's Army on its 41st anniversary of its foundation on March 29, 1969 in the second district of Tarlac. 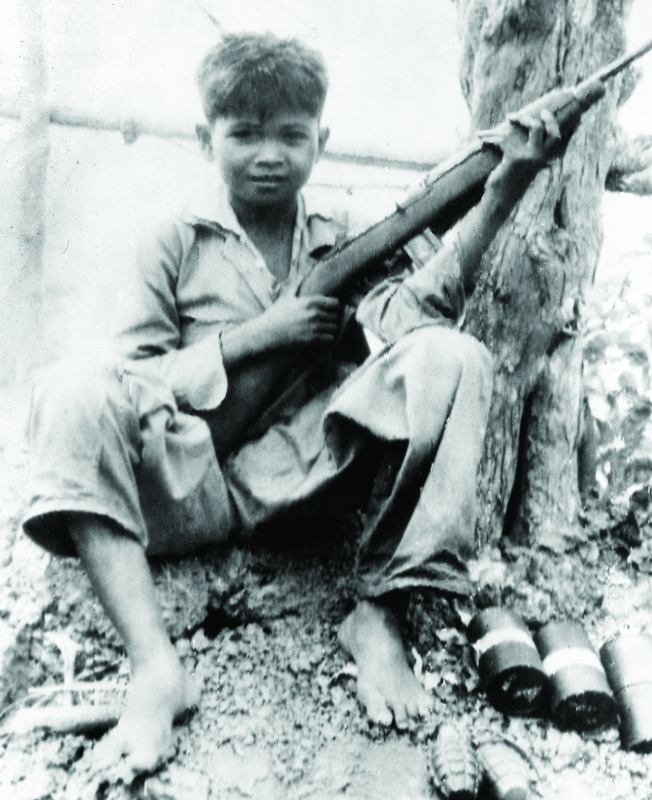 In 1972, the NPA also established guerilla fronts in Mindanao and spread swiftly throughout the archipelago. The red fighters of the NPA and the revolutionary masses who have offered their very lives in the service of the people deserve no less than our highest regard and praise.
" We give the highest salute to the New People's Army on its 41st anniversary of its foundation on March 29, 1969 in the second district of Tarlac. In 1972, the NPA also established guerilla fronts in Mindanao and spread swiftly throughout the archipelago. The red fighters of the NPA and the revolutionary masses who have offered their very lives in the service of the people deserve no less than our highest regard and praise. Under the absolute leadership and guidance of the Communist Party of the Philippines (CCP), the New People's Army is the only true army that serves and defends the interest of the people. It has launched tactical offensives in order to crush the AFP-PNP-CAFGU, which are the armed apparatus of oppression and exploitation of the ruling reactionary class. Apart from delivering blows against the reactionary state through military action, the NPA is engaged in arousing, organizing, and mobilizing the people to build and strengthen the revolutionary base, and undertake anti-fascist, anti-feudal, and anti-imperialist people's struggles. From only 39 in the previous year, there are, at present, 40 guerilla fronts in Mindanao, operating in 19 provinces, in more than 200 municipalities, and 2,000 barangays. These are being supported by close to a hundred and fifty thousand (150,000) directly organized revolutionary masses among nearly a million mass bases, not including its influence in the cities and municipalities. The ever widening and deepening mass base has given greater opportunity for NPA units in Mindanao to launch sustained widespread and intensified tactical offensives, inspite of the attacks made by Oplan Bantay Laya I and II. The NPA has launched over 400 tactical offensives (2009-March 2010), which confiscated no less than 200 arms from the enemy troops and captured POWs (prisoners of war). The most recent of these tactical offensives was the successful raid by the NPA in Front 72 of the Far Southern Mindanao Region against the Army-CAFGU detachment in Luz Village, Mlang, North Cotabato last March 26, 2010, where the NPA confiscated 35 high caliber rifles. Last March 27, 2010 the NPA punished the Dole Pineapple company because it wanted, by force, to open a plantation that was destructive to the environment in San Jose, Barobo, Surigao del Sur. On March 28, 2010, the NPA disarmed members of a fanatic group in Sta. Irene, Bayugan, Agusan del Sur, where 5 arms were confiscated. On the same day NPAs from guerilla front 15 attacked the operating troops of the 67th IB in Mahan-ob, Bangganga, Davao Oriental, where 1 rifle was confiscated and the enemy sustained casualties. On March 22, 2010, an NPA unit in the Western Mindanao Region confiscated 4 arms from the private army of abusive Mayor Animas in Sapang Dalaga. NPA units in Mindanao have been the Party's leading force in advancing agrarian revolution in the countryside, the benefits of which have reached hundreds of thousands of people through the rent reduction of land and farm tools, lowering usurious interest rates, increase in the price of the peasants' farm products, establishment of genuine cooperatives, launching of campaigns to increase the level of productivity, launching campaigns for culture, health, literacy, and other means of public service. Barely a year after Gloria Macapagal-Arroyo was installed in power through the second EDSA uprising in 2001, her regime immediately unleashed Oplan Bantay Laya purportedly to put an end to the revolutionary movement. Despite the threat of OBL, the NPA and the entire revolutionary movement has instead grown in strength, that is why in 2007 the US-Arroyo regime lost no time to launch OBL II, which also had the same objective of crushing the revolutionary movement. However, much like OBL I, OBL II miserably failed. Particularly in Mindanao, while OBL II simultaneously aimed its attacks against guerilla fronts in five different regions, it concentrated its military offensives mainly against SMR and NEMR. After three years, however, these two regions instead of being crushed, were able to expand and further strengthened. The US-Arroyo regime's OBL II also failed to destroy the revolutionary forces in NCMR, WMR and FSMR. These regions continued to launch tactical offensives. Corruption, fascist repression, loyalty to imperialist interests and the insatiable greed for power -- along with worsening economic crisis, aggravated the suffering of the people, but continued to enflame them to fight against the reactionary US-Arroyo regime. While the revolutionary movement is on a steady rise, the contradiction among the factions of the ruling class continues to sharpen, especially so that the US-Arroyo regime has no intention to relinquish its power. This overall situation is favorable for the NPA and the entire revolutionary movement in Mindanao to achieve bigger victories and complete the requisites needed to attain the strategic stalemate phase in the protracted people's war in the next five years. In order to achieve this, we must overcome conservatism in launching tactical offensives in order to allow us to build additional NPA formations and build company-size guerilla fronts. We must repudiate conservatism in our effort to advance agrarian revolution and other related mass movement and campaigns. We must ensure the expeditious expansion of our mass base, raise its level of political consciousness, raise the level of its revolutionary organization and establish organs of political power. A Party that is strong organizationally is needed to undertake bigger and more difficult revolutionary tasks ahead. We must make sure that Party membership rapidly expands so that there is enough number of Party members and cadres to lead the ever expanding and complicated armed struggle and mass movement. While we have sustained in giving the Basic Party Course to full-time revolutionary forces and the Intermediate Course to cadres, we must endeavor to give the Advanced Course. We must undertake great measure to give the Basic Party Course among the ranks of Party Branches in the locality. We have to make certain that Marxism-Leninism- Maoism is deeply rooted among the people. The probability is high for Gloria Macapagal-Arroyo to remain in power, whether the 2010 national election pushes through or not. While it remains our responsibility to guide the people in this coming election to obtain whatever limited concessions are available, we must prepare ourselves and the people for widespread protest actions against the US-Arroyo regime's intent to hold on to power. Should this occur, it would be imperative for the NPA to launch bigger and more intensified tactical offensives and punish the US-Arroyo regime for the crimes it has committed against the people. Under this situation, the armed forces of the the US-Arroyo regime will have to face the wrath of the Filipino people in two arenas -- the ever-growing protest movement of the people on one hand, and, the armed resistance of the NPA on the other. Long Live the New Peoples' Army!